Among my many blessings, I am particularly grateful for long-time customers like Monika Palmore at Greasebusters. This Rockville, MD-based commercial kitchen cleaning and fire prevention firm hired Julie & Company over a decade ago to create a new brand and website. Since that time, Greasebusters has grown like gangbusters. If you've visited a national chain like McDonalds, TGIFridays, or Bob Evans, Greasebusters has probably cleaned that kitchen exhaust system. The company also works with privately owned restaurants, government facilities, hospitals, and other commercial eating establishments, too. Since I redesigned the corporate site a couple of years ago, the company has expanded even further. Greasebusters now offers a full-fledged franchising program throughout the United States. 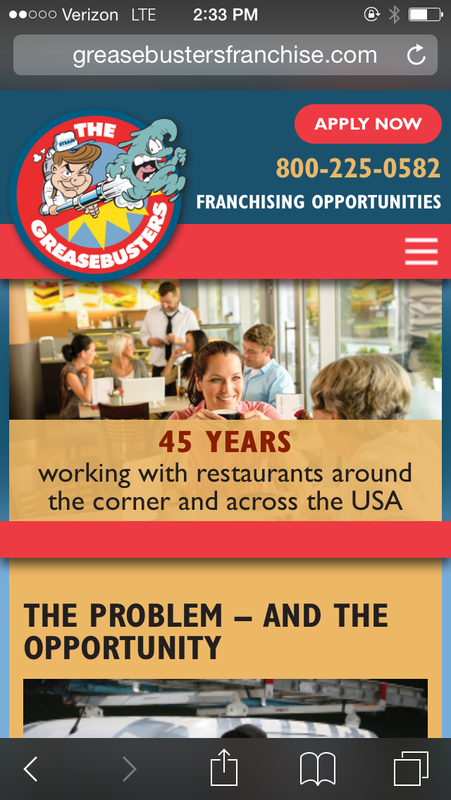 The program's new website, GreasebustersFranchise.com, launched this morning. 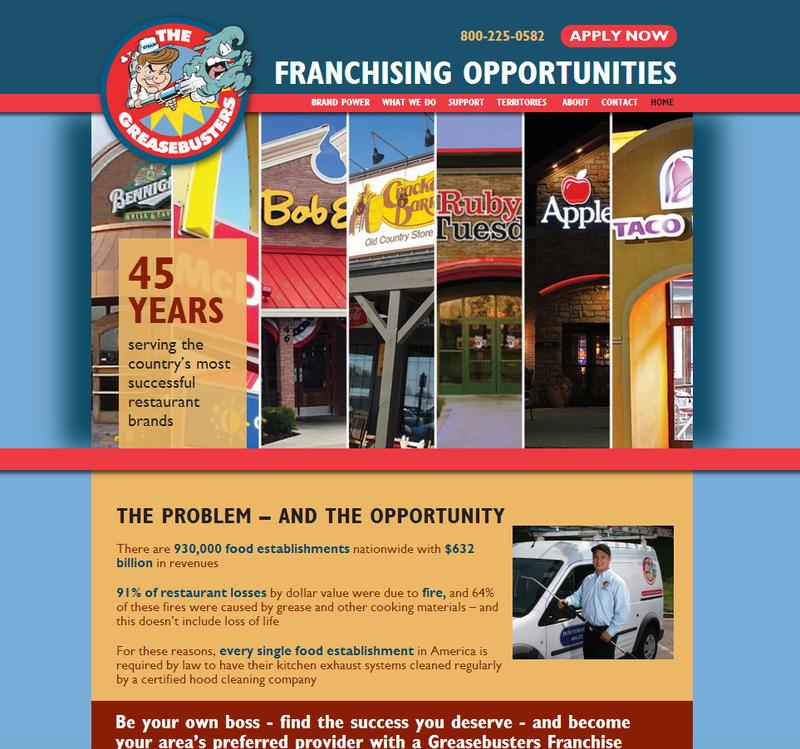 Targeted to potential franchisees, the site provides information about the Greasebusters brand, corporate history and values, the franchise program, and available territories. Greasebusters now offers franchises in every state and in Vancouver, Canada, too. I designed the new website to be responsive, which means that the site automatically displays optimally for the device on which its being displayed. The image below shows how it displays on a desktop computer. But on an iPhone, the website reconstitutes optimally for a smaller screen size. I also designed the site for the WordPress content management system which allows authorized staff members to make changes from any web browser and improves search engine placement. If you know people who are looking to be their own boss, have them check out GreasebustersFranchise.com. Or for business owners who need superlative branding and website design, visit www.julieandcompany.com or call 301-330-9353.